Hans Christensen studies international accounting harmonization, debt contracting, and transparency regulation in financial and non-financial markets. His papers have been published in the Journal of Accounting & Economics, the Journal of Accounting Research, Review of Accounting Studies, and Review of Financial Studies. 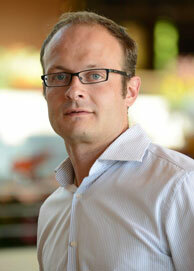 Within the corporate world, Christensen previously worked with the firm PricewaterhouseCoopers (PwC). At PwC, he audited financial statements which were prepared according to US-GAAP, IFRS, and various national European accounting standards, as well as worked on complex deals such as M&A transactions. "During my work with PricewaterhouseCoopers, I observed how firms choose to account for similar events in very different ways, particularly when comparing them across countries," he said. "My research now focuses on why firms make these different choices and what the consequences are." Christensen earned a PhD in accounting from Manchester Business School in the United Kingdom and joined the Chicago Booth faculty in 2008. He hopes that his students take away an understanding of accounting that allows them to read and understand financial reports and make better decisions based on the information in them. Outside of academia, Christensen has been preparing for the Chicago Marathon for the past ten years and he hopes he will be able to run it soon. He also enjoys traveling. International accounting harmonization; mandatory IFRS; disclosure behavior. REVISION: Incentives or Standards: What Determines Accounting Quality Changes Around IFRS Adoption?